Is it just me, or after winter your skin feels like it needs its moisture replenished? 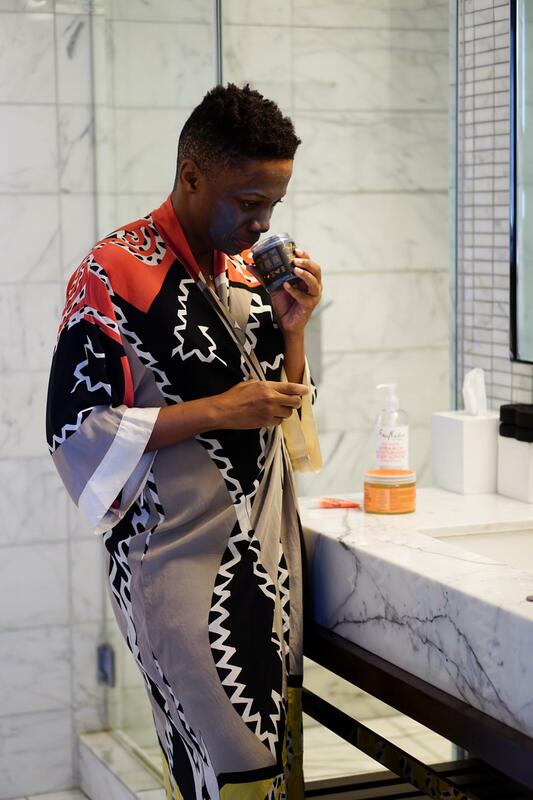 When I choose cleaners, then, I like to make sure they’re gentle on my skin and also nourishing. 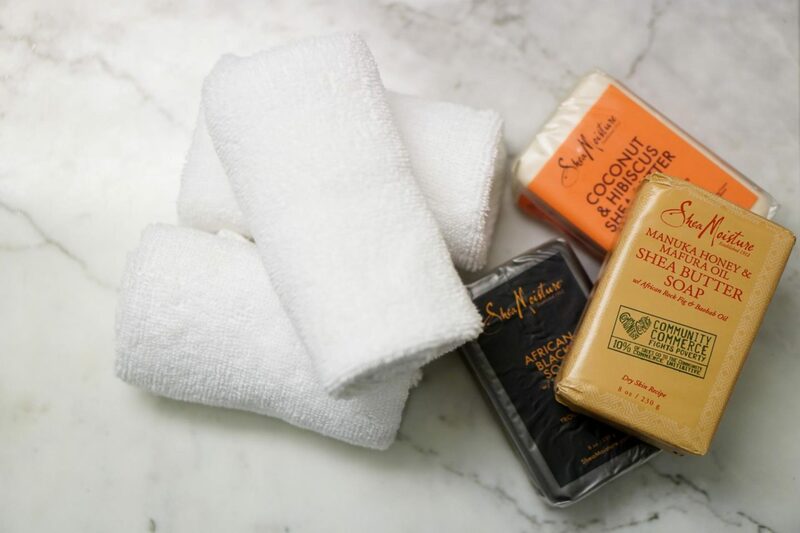 And, the selection of Shea Moisture cleansers is so wide that I often discover new-to-me formulas there, including the Manuka Honey and Mafura Oil Shea Butter Soap. Do yourselves a favor and try this soap. 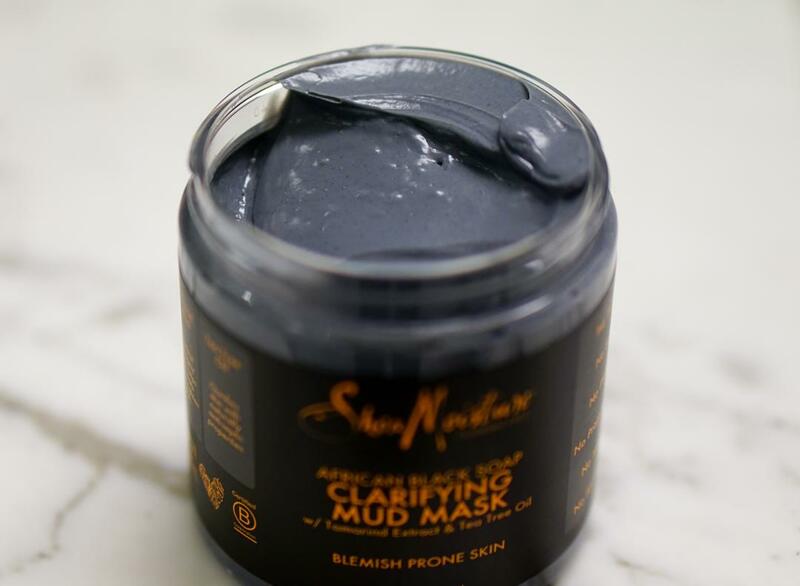 This Clarifying Mud Mask is my go-to for spring because it leaves my skin exfoliated and bright. While it is a mud mask, this one doesn’t get caky, dry, nor irritating. Shea moisture. Aloe. Coconut oil. You only need to glimpse the ingredients in this next moisturizer to know that it’s good stuff. 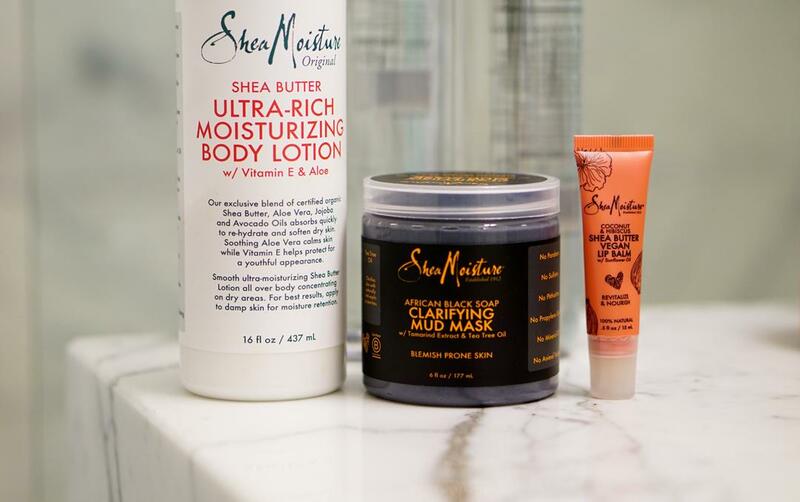 The Shea Butter Ultra-Rich Moisturizing Body Lotion is the kind of product that’ll satisfy all your skin’s issues, from dryness to sensitivity. I love that the lotion is lightweight, non-greasy, and super moisturizing. It’s perfect for for replenishing the skin after a harsh winter. It’s often hard to find, but I always have luck finding it here. 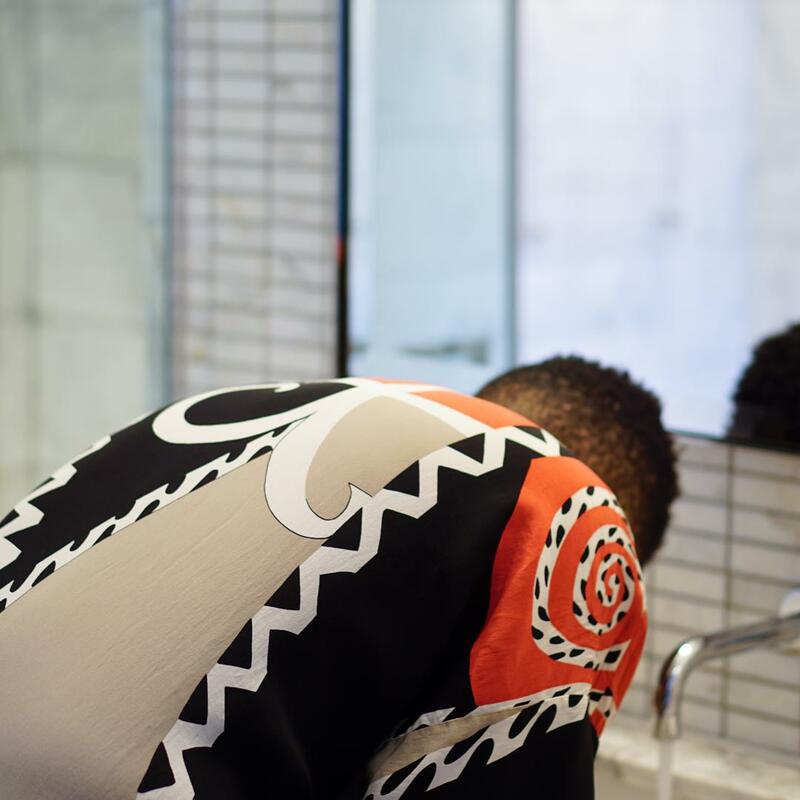 I wash my hair often, after workouts and in the mornings to get it ready for styling. So, I’m picky when it comes to shampoos and conditioners because I use them so frequently. 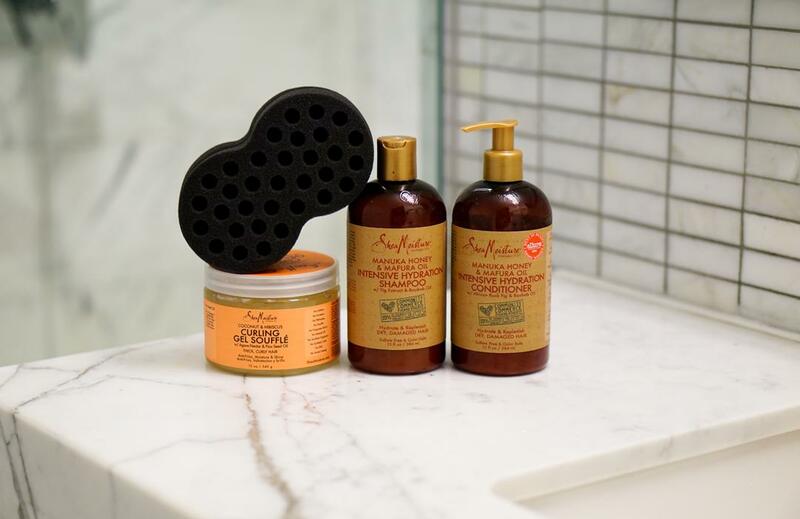 Since testing the Manuka Honey and Mafura Oil Intensive Hydration Shampoo and Conditioner, I knew they were perfect for my spring hair routine. These two products are moisturizing, shine-enhancing, and softening. My hair loves them. By the way, it’s so easy to shop these products at Walmart. After realizing how effective these products were on my hair, I decided test a new styling gel by Shea Moisture.